Since in the past to the present, playing cards between human and youkai has been formed to replace the dispute and bloodshed. "Koi Gensou Sato" or sometimes known as "Koi Koi Gensoukyou" (English: We Love Gensoukyou), is an adventure game with card battle based on "Koi-Koi" or Hanafuda cards. The object of the game is to form special card combinations called "yaku" from cards accumulated in a point pile. Once a "yaku" has been made, a player can stop to cash in points, or keep going (referred to as "Koi-Koi", hence the name of the game) to form additional yaku for more points. Koi Gensou Sato has two game modes: Story Mode and Vs CPU. Nice little game starring Meiling that reminds me of an old Bomberman Adventure game, can be quite addictive. Puzzle game starring Marisa, that for some reason has to collect stars. Alice and Patchouli are suddenly sucked into a magical book. They are now trying to find a way out and the culprit. The main gameplay involves guiding Alice and Patchouli to the exit by collecting keys before time runs out. The player can select one of five stages within a world. Once they are cleared, the boss of the world becomes available. The stages are populated with obstacles, puzzles and enemies, with the player traversing the stage by running, jumping and use spells. Alice and Patchouli have different abilities required to pass certain obstacles and platforms. Alice jumps far and uses her dolls to remove or blow up blocks, while Patchouli is proficient in jumping high and using magic. As Satori your job is provide instructions to your sister, solve puzzles, collect hidden items and and eventually reach the exit. Koishi can move stones, arrow signs and other obstacles that block her step. The objective of this game is to gain progressively higher scores by matching three or more UFOs of the same color in a line vertical or horizontal. Bonus points are given when player continue clearing UFOs to score higher points as quick as they can while UFOs are being called. Each color UFO has unique effects; red UFOs grants player life points, blue UFOs grants score multiplier, green UFOs will increase bomb power. When player clearing three different colored UFOs, call percentage will increase. Glass UFOs can only be removed by clearing colored UFOs adjacent to them, but if too many of these using bomb is recommended. The life points starts at 60.00 and decreases as time. The game is over when life points reaches zero. While walking around in Eientei, Satori Komeiji suddenly fell into a great maze and now she's trying to get out. 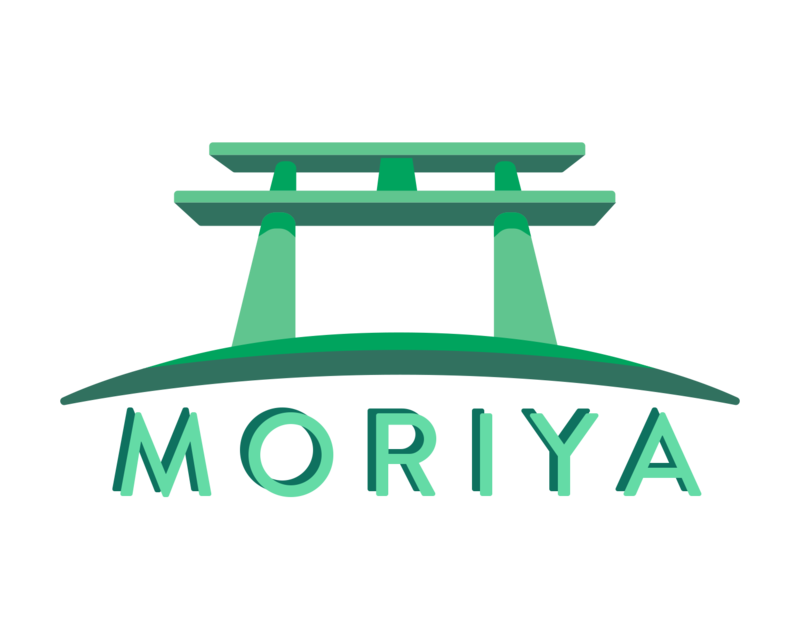 Eiya Gensoukairou - An Immortal Girl in the Miniature Garden, is a puzzle game in which the objective is to guide the character to exit from the labyrinth by collecting red crystals to destroy walls and obstacles. The red crystals are limited and the player must use them carefully. However, at some certain points of the map there are several warp points where players can enter at one spot, and exit at another. This may not be completely obvious at first (or maybe it is, depends on you), but the artwork for the characters were done by different people. So yeah, that's why, say Satori and Cirno, look QUITE different from say Reimu & Marisa. Plot Point: Dunno really, besides the fact that it involves clones of some sort. So yeah, sorry. Also, I've never really done the story. Just the offline play. How it Works: Well, battles are set up like a chess board, with your units on one side, and your opponents on the opposite. You each take turns moving your units and "attacking" your opponents. However, unlike in chess, when you move your piece onto an enemies piece, combat begins! This is where your units stats come into play. Card ( カード): When you are attack during a battle, your character draws a numbered card. They can possibly draw from 1, up to their Card stat. Pow(パワ): If your attack goes through, it deals some number of damage in your Pow range. Graze(グレイズ): This is I guess what you would call the defensive stat. When your opponent attacks, and for example let's say they draw a "4", if your Graze is "6" you take NO damage. At all. Attacks in this game are hit-or-miss. Note: Same number means a hit. Life(ライフ): This is just simply your characters HP. After winning a battle, some HP is restored. Joker: You may notice that some units have a (JOKER) in their status menu. This means when attacking their is a, slight chance of drawing the Joker card, which is instant death for your opponent. +1 Bonus: This bonus is given to whatever unit started the battle. It temporarily, for the length of the battle, raises your Card stat by 1. Spell(スペル): You may notice that some characters, after moving, have a choice of some sort. These are "Spellcards", and they can be used, mainly to either heal your allies, or to deal damage to your opponent. If you highlight the spellcard's name, then you'll be shown the range. Under the info box, a description will pop up telling you how much it can heal for/how much damage might happen. So, yeah. You'll see some japanese text in red, with a big "10-30" in it, which means it will deal between 10 and 30 points of damage. Red name= damage. Green name = heal. For you people who know the game "Intelligent Qube" and liked it. This game is for you. There are nine stages and completing them all will unlock "Extra" mode. In extra mode, everything is the same EXCEPT your camera will not be a bird's eye 3rd person view. It will be at eye level behind Cirno in 3rd person. This severely increases difficulty and inhibits your ability. The only way to see a top view of the blocks at this point is to speed up blocks. As you play the game, you'll be rewarded with coins which can be spent on several things. In the wet and cold lands of Misty Lake. There lives a ice fairy named Cirno. On a whim, she decides to partake in a game where it will determine whether she is a cretin or an ingenious sprite. How it Works The goal of the game is simple. * Destroy all of the blocks aside from the black-colored Forbidden Blocks. * Destroying a green cube will place an Enhanced Mine where the cube was destroyed. It will then leave a marked green spot in which you can detonate for a 3x3 explosion with it at its center. * You will be penalized for destroying Forbidden Cubes or allowing other cubes to pass you and fall off the edge of the stage. - For each Forbidden Cube you destroy, a row of the stage will crumble. - For each set number of other cubes you let pass you, a row of the stage will crumble. * You will be granted an additional row onto the stage if you manage to clear a wave of cubes flawlessly (no Forbidden Cubes destroyed and all other cubes destroyed). * Getting crushed by the cubes will cause them to speed towards the end of the stage, only stopping for when you set off a mine, ultimately causing you to lose your Perfect completion bonus as well as possible rows due to failing to capture the remaining cubes. * Completing the round above the limited turns will not cause a negative affect on the game. It will only reduce your end IQ score. * Once you destroy a block, the limit turn will start ticking so this gives you time to plan your moves. * The game is over if you fall off the edge of the stage. Plot Point: It was a day like any other, Alice was in her home, reading, when Marisa came over. Marisa wants Alice's help doing something, so they head off. However, they hadn't gotten very far before a yandere (in-game description) Patchouli had cursed Alice because she wanted to ruin their date! Now Marisa's hat can't be taken off of Alice's head (Alice was wearing Marisa's hat because it was sunny outside)! How it Works: Marisa & Alice is a puzzle game based off of "Mario & Wario". You use Shanghai to break blocks, hold Alice still, & to turn Alice around to help solve puzzles that will lead a blind Alice to Marisa, while simultaneously picking up gold stars (generally 3 per stage) that are used to unlock the boss stages. Extra Note: "Lesson Mode" isn't actually a lesson or tutorial or anything like that. It's actually (as I believe) a harder challenge mode. Changeable to anything you want (including controller buttons) in the Options menu. * Note that I don't designate the Use Tool button as being an "attack" button, despite that being its equivalent functionality in this game - Nitori is generally incapable of killing enemies, usually because she has to use them as stepping stones. * Wanna know what you'll be getting? TouhouWiki has a complete Tool List so you'll know what you get and how to use it. * Stuck? TouhouWiki also has a full walkthrough just in case, for those who are ready to admit they can't figure out a puzzle. Plot Point: Utsuho has been spotted away from her post in the nuclear reactor. This worries everyone's favorite engineer, who takes it upon herself to check up on the bird-brained girl. How It Works: Is it or is it not about time someone made a game starring Nitori where your solutions lie in expert gadget usage to solve puzzles? That's exactly what this is, and if you hated the boring feel and isometric perspective of Maristice, exactly what you've been pining for - Nitori starts with 5 Life and some weapon energy (which recharges itself), and finds both expansions for these and a whole lot of Tools that give her an increasing amount of ability - not only do you get a way to stun enemies (the Stinky Ball), but you also get useful tools from a Drill and some Bombs for getting through pesky destructible blocks, to her famous Extending Arm for grappling, to seemingly game-breaking tools like the Wall-Walk Shoes (they do exactly what you think) and the Water Jet (which also does exactly what you think). Even the boss fights are mostly puzzle-based, solutions lying in forcing bosses to fall into their own traps or otherwise damage themselves (only the world 4 & 5 bosses are actual damage-them-to-death fights). Please Note: Though you do get a ton of helpful tools, and there're save points and signs with hints or other info all over the place, remember that although the game has a light atmosphere and starts easy enough to get you accustomed, it actually quickly becomes difficult, none of the tools are optional and multi-room puzzles are commonplace even early on. The endgame is constructed ingeniously to make you use every tool you own in order to earn the last one and get to the final boss. World 5 is a Bonus: If you collect 15 UFOs for Nue, she'll unlock World 5, which is a lengthy, self-contained challenge world - upon entering, you lose all your tools and must re-collect them within that world as part of the challenge (although if you choose to leave World 5 and go somewhere else, you'll get your tools back until you return), and will face Kaizo Mario-level challenge as you're forced to push your tool usage ingenuity to the maximum! 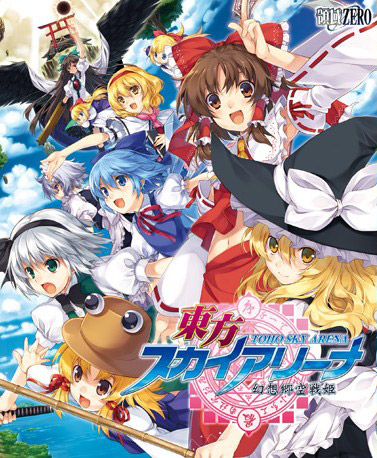 Plot Point: Residents of Gensokyo have been invited to Remilia's tea party at the Scarlet Devil Mansion. There they enjoy themselves and have a wonderful time. Midway through the party, Remilia decides to depart to her room and rests for the duration of the day. Eventually, she is woken up by noises during her sleep. Curious as to what caused such ruckus, Remilia hastily invesigates the source. She finally meets up with her colleagues and finds out that eveyone has been shrunk and the whole mansion has been twisted in architecture. Thus Remilia decides to investigate this eerie incident and put an end to it. How it Works: You work your way through rooms which possess various puzzles and enemies you must traverse. Basically the main secret to winning is opening chests (yellow dots on the room map; also not the case for Flandre's story) so that you can collect keys and other important items needed to open other rooms. This game ensures that you practice the utmost vigilance as you must possess patience and fine dexterity to surpass the numerous obstacles. Extra Notes: After completing Remilia's route. You will unlock the option of playing the "Extra" mode or "Clock Tower". "Extra" is basically Flandre's route which tells her side of the story during the night of the incident. Be cautious that difficulty is immensely increased but Flandre's superior power over her sister can compensate for that. "Clock Tower" is a Time Attack mode which involves you climbing the clock tower (10+ floors) and and setting a record of how fast you can clear it. Any of the three characters can used for this option; however, Flandre must be unlocked by beating the clock tower first. This is also where Yuyuko tells her side of the story. Plot Point: Oh noes! Sanae's fallen into a hole! Patchouli creates an animated doll type thing in the shape of Suwako to rescue her. Menu: Since the game is mainly in Japanese, it can be difficult to find what's what. Your first selection will bring you to the different game modes. The second selection will bring you to free mode and a stage editor. The third selection brings you to the music room and gallery. The fourth selection is the options. The final selection will exit your game. Normal Mode: The main game. Go rescue Sanae! Extra Mode: Not sure. Haven't unlocked it yet. Grade Mode: The game's puzzle mode. Continue: Let's you choose which file you wish to continue... do I need to explain this one?